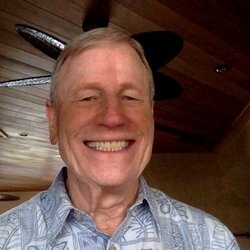 Welcome to My Santa Cruz Real Estate’s website, designed to be your #1 source for buying and selling Santa Cruz homes. This website was developed with you in mind, to empower you with the tools and local area information you need to achieve your real estate goals. 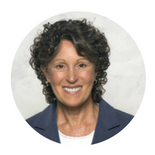 Specializing in bringing buyers and sellers together, California Realtor® Lauren Spencer has the experience and expertise to guide you to the properties or buyers you wish to connect with. Learn more about Lauren Spencer. Whether you’re searching for a stunning waterfront home in Santa Cruz, a charming vacation or second property in Capitola, or looking to sell your home quickly and profitably, you’ve come to the right place. And if you’re simply curious about what Santa Cruz County’s beach community has to offer, we have a vast offering of valuable information on each city and neighborhood. If you’re interested in buying or selling Santa Cruz homes please contact us. Lauren is happy to answer any questions you may have about the area, and be your local real estate guide. If you’d like to start a free Santa Cruz MLS search, select a community below; you’ll find the most current real estate listings, updated daily, and also information about the area and neighborhoods. The neighborhood of Aptos combines the majesty of the redwoods, the ocean and the historic Aptos Village. Santa Cruz real estate is found in a classic beach community, spanning from the Beach Boardwalk to the University and the Redwoods to the Sea. Capitola by the Sea has the charm of a Mediterranean village with restaurants, shops, bakeries, and artist galleries. Scotts Valley is the gateway to the coastal redwoods and natural wonders of the area's State Parks. 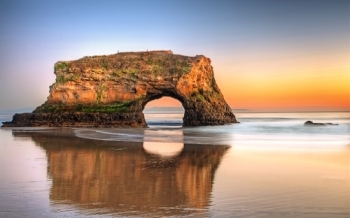 Register with My Santa Cruz Real Estate to unlock customizable search tools. These exclusive webtools will allow you to input and save your specific search preferences, bookmark your favorite properties, and also sign up for email alerts when new homes in Santa Cruz County enter the market. Our beaches are only the beginning. Nestled between the majestic redwoods of the Santa Cruz Mountains and the tranquil sandy stretches of the Monterey Bay, Santa Cruz County is a place like no other. What a truly wonderful place to call home! Conveniently commutable to the Silicon Valley, Santa Cruz County offers natural splendor and a flourishing arts community while still retaining that small-town feel. Wine connoisseurs enjoy exploring the many award-winning wineries of the Santa Cruz Mountains. Miles of trails through the redwood forests and oak-studded hills of our state parks offer plenty of recreational opportunities for hikers, mountain bikers and equestrians. A world-class surfing destination, Santa Cruz County cherishes its classic California surf culture. Whether it's the charming shops of Capitola Village, the fine dining of downtown Santa Cruz, the antique treasures awaiting you in Soquel and Aptos, or the farm-fresh produce of South County, there's a little here for everyone. And then, of course, there's our beautiful beaches stretching around the spectacular Monterey Bay. When you're ready for a big-city getaway, San Francisco is only 90 minutes away. 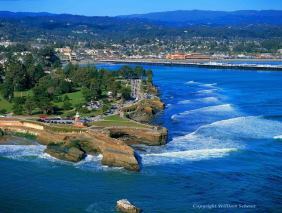 You’ll find that the Santa Cruz, CA real estate market is diverse and plentiful. Interested home buyers can browse a variety of fabulous waterfront houses on pristine beaches, secluded homes on acreage, and even golf properties. Whether you’re looking for a spectacular luxury estate, an affordable condominium, an upscale townhouse or the perfect family home, it's all just a click away. What are you waiting for? Create a custom Santa Cruz home search now! 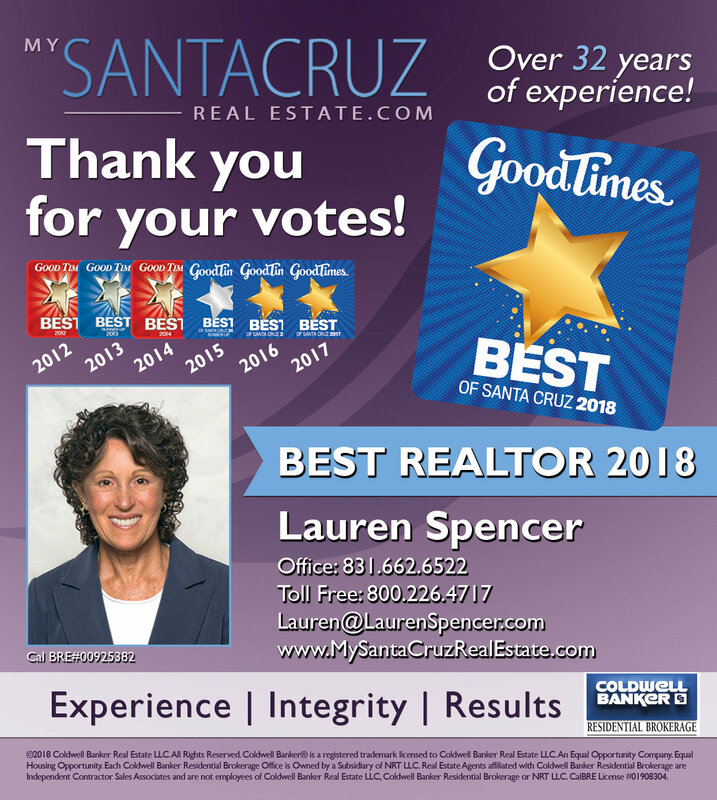 If you’re ready to work with a top-rated Santa Cruz real estate agent, Lauren Spencer will be happy to help with your home buying and selling needs.